What is Dawn to Dusk Marathon? 4. Music concert at Radisson Blu, St. Thomas Mount, Chennai: A special evening performance by the well-known Mr. Anil Srinivasan – Pianist, Ms. Saindhavi – Singer, Mr. Navin Aiyer – Flutist supported by visual illustrations done by Mr. Biswajit Balasubramaniam – Cartoonist on 5th January 2014, Sunday @ 7.15 p.m. The artists have also come forward to perform this event and raise funds for the God’s own children with no fee. This event is fully sponsored by Radisson Blu Hotel GRT, St.Thomas Mount in support of the Dawn to Dusk event to raise funds for God’s own children. Donor passes will be sold for the sit-down Black-tie dinner to raise funds. Who are the Organizers for these different Events? 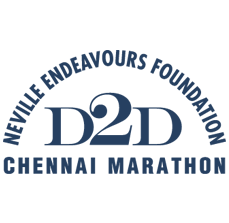 Running event is organised by runners from different running groups in Chennai (Chennai Runners, Cool Runners, Dream Runners). An event for the runners by the runners. Secondly, to provide a platform for runners to kindle their passion for running and cycling, meet like-minded persons and lead a healthy lifestyle. All runners less than 18 years of age shall be represented by their Parent or Guardian and only on obtaining written consent of their respective Parent or Guardian, they will be permitted to participate in the running and cycling events. Registrations will close on 22.12.2013 for cycling, running and Kids Run. The event registration fee, for running is Rs. 550 , Cycling it is Rs. 550 & Kids run Rs.350. The Race fee is non-refundable. 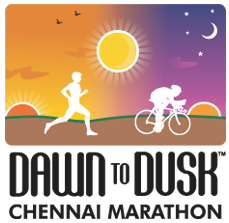 Dawn to Dusk is also bringing out dry-fit T-shirt for Adults and Kids which is included in your registration fee. Running will happen within the premises of IIT, Chennai. Loops within the campus will be made for running. More details will be provided closer to the event date. What is the Start time for the Running Events (Adults and Kids Runs)? 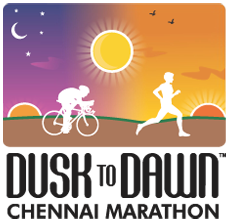 The running will be flagged off sharply at 8.30 a.m and runners are required to assemble at 8 a.m. Kids run will be followed immediately by the Adults Run. Yes. Will be made available in sufficient numbers. Where is the Cycling Track? Cycling will be flagged off at IIT Chennai and it will go upto Mahabalipuram u turn back to Radisson Blu Hotel GRT, St.Thomas Mount. Route for the cycling event will be provided closer to the event by the organizers. Will BIB’s and Timing chips provided? A baggage storage counter will be operative during the official course of the event at IIT. However, it is advisable to keep all your valuables at your home or in your vehicle. Organizers shall not be responsible for loss of any items. Every finisher will get a finisher medal at the finish line and e-certificates shall be provided for adults. Kids will be provided with a hard copy of the certificate and a finisher medal at the venue. No cash Prize for participants who finish in the top positions of their respective category. Provision for Car, two-wheeler and cycle parking will be made available at IIT campus. Apart from the restrooms available in the IIT campus the organizers will arrange for few mobile restrooms for Adults and children. We have a maximum head count of registrations if it exceeds before the last date (22.12.2013) we may not entertain spot registrations. If it does not exceed, spot registrations will be made available. NO transfer of Registration / BIB’s shall be entertained by the Organizers. The registration is non-transferable. Change of category from Full marathon to half marathon and half marathon to full marathon is possible upon prior intimation to the Organizers.